Since the main aim of this work is introducing “His World written in Beautiful Japanese”, let me almost omit Yoshy’s translations in principle. His private description is omitted, indicated as “an omission”, etc. How beautiful Mt. 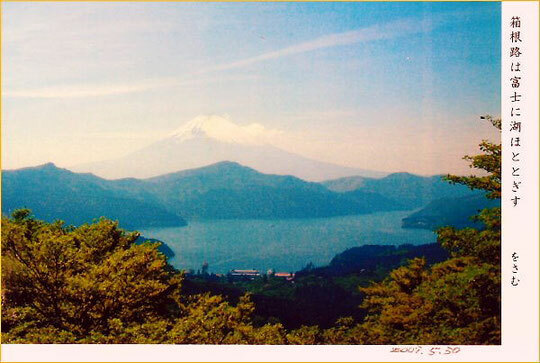 Fuji, a lake and occasional calls of a lessor cuckoo are; during driving on the road of Hakone-hill!